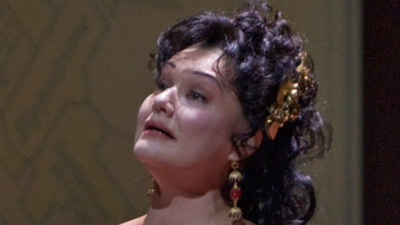 Perhaps the most thrilling of Puccini’s operas, Tosca takes place almost in real time, over the course of a few hours from the afternoon of one day to the early morning of the next. The story is set in a specific moment in Italian history in June 1800, with the Napoleonic wars as its background. 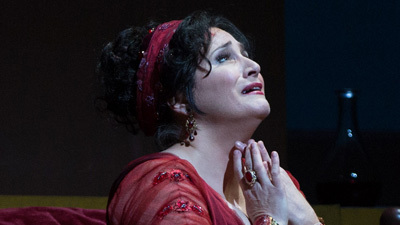 Floria Tosca (Sondra Radvanovsky), Rome’s most celebrated singer, is caught in a triangle of love, suspicion, and murder between her lover, the politically liberal painter Cavaradossi (Marcelo Álvarez), and Baron Scarpia, the sadistic chief of police (Falk Struckmann). Marco Armiliato conducts the dramatic score.